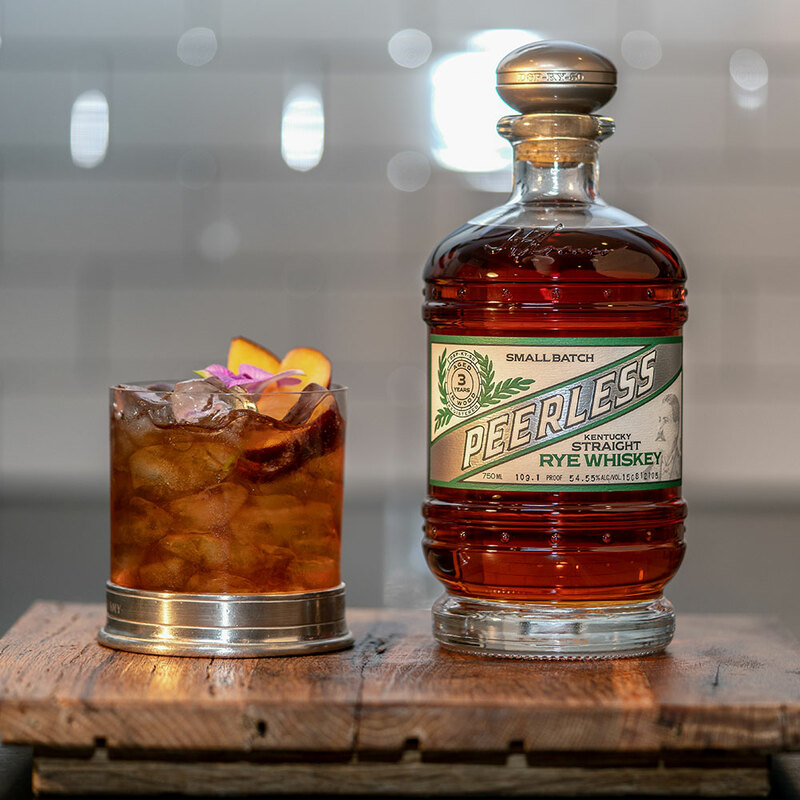 Peach Tree Old Fashioned - Peerless Distilling Co.
A riff & fruity twist on a traditional Old Fashioned. 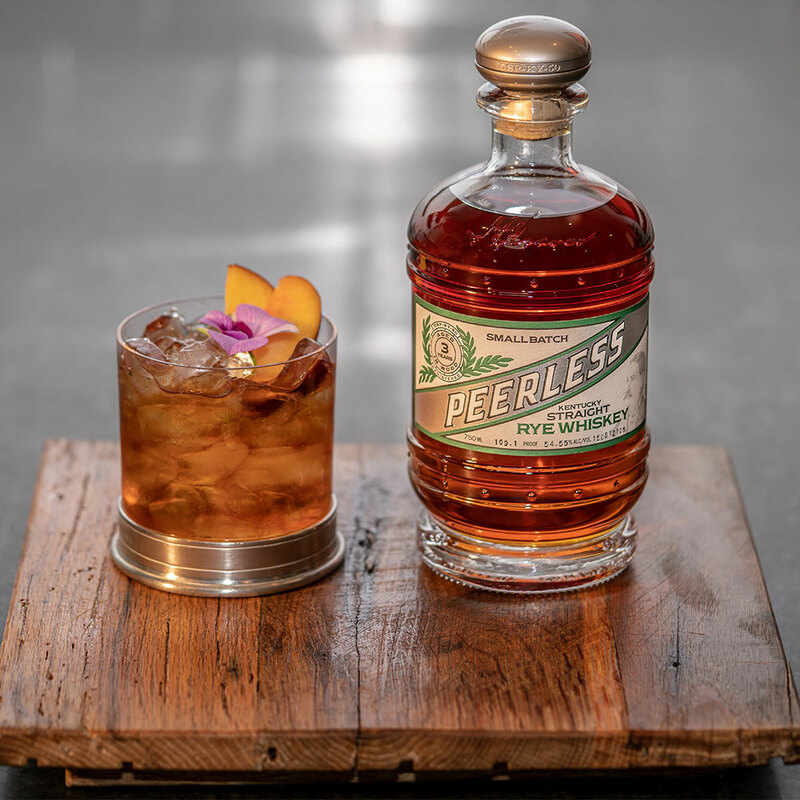 Muddle 2 Peach slices in a mixing glass, add all other ingredients and stir with ice for about 15 seconds. 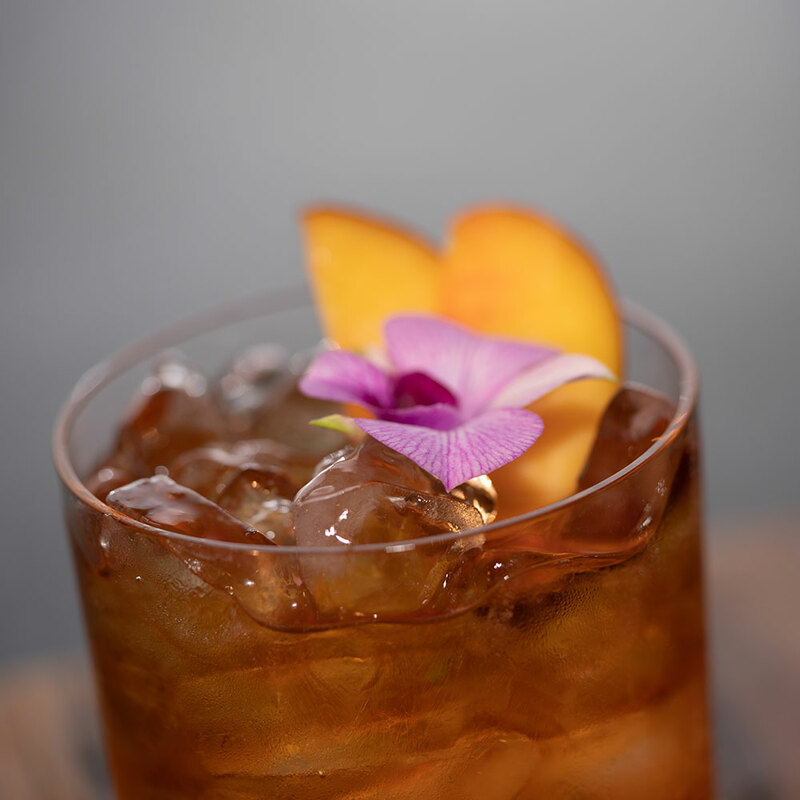 Double fine strain into a rocks glass full of crushed ice and garnish with remaining peach slices and orchid.